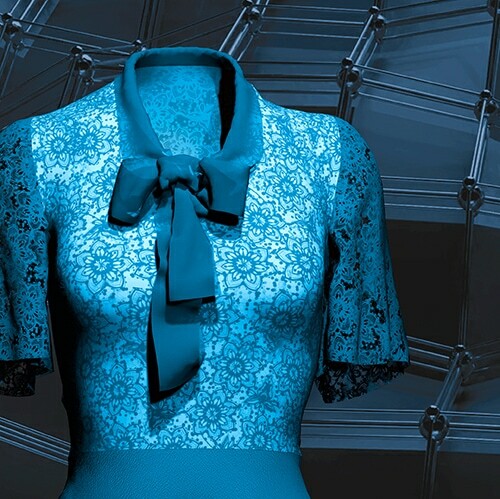 Munich/Kaiserslautern, 03.09.2018 The fashion industry is undergoing a technological revolution – more and more garments are being digitally designed with 3D software. A realistic representation of color and materials makes it possible to significantly reduce the number of physical samples – and this in turn saves time and reduces costs. At the Munich Fabric Start, Assyst and its partner companies Color Digital, Epson, X-Rite Pantone and Peter Buedel Accessoires will be showing how Vidya attains the next level of 3D simulation through the integration of digitalized materials. The joint booth of the Digital Textile Connection is located in the Keyhouse at the Munich Fabric Start. Digital is now! For almost two decades, the companies of the Human Solutions Group have been shaping digital work in the apparel industry with their solutions. The Group covers the entire process chain, from design to the store. Based in Kaiserslautern, Germany, the Group operates all over the world, with 200 employees at four locations in Germany, Italy and the USA and partner companies in more than 50 countries.